The Digital Era in its true sense has dawned upon us. The year 2017 witnessed companies concentrating on digital transformation for customer retention and growth, wherein 'experience' played the most important role of all. Today, customers expect an unwavering experience that is innate and engaging across multiple channels, be it social, mobile or in person. These digitally advanced customers demand information anytime, anywhere; superior and personalized digital services; and consistent, compelling and relevant experiences across all channels. On the cusp of a new year, with customers continuing to take priority, companies are compelled to bring experiences at the forefront for their business growth. So far, majority of the companies have invested in gaining customer intelligence, to be able to provide exactly what is expected by customers and package it with an experience that is enriching. But now is the time to move to the next level and turn customers into brand loyalists. Customers tend to interact with brands on a channel of their choice, hence, it is imperative that brands focus on providing a seamless multi-channel experience. Along with mobile, brands should focus on Smart TVs, wearable devices and other second screens to reach a wider audience and keep them engaged. The different methodologies that brands need to leverage for providing a unified customer experience include collaborative design thinking, persona development, top task analysis, user journey mapping, true intent, usability analysis and much more. When the customer sees his / her brand present across channels, the levels of affinity intensifies, generating an emotive brand response, making the brand get closer to converting the customer into a loyalist! Injecting operational efficiency and integrating all channels is the key to providing a superior end-user experience. Companies need to evolve into responsive organizations, investing in making the workforce mobile, improving organization wide productivity, automating internal processes and adopting many other agile methodologies, that will help them rule the customer experience game in 2018. With the progressions in technology, brands are presented with multiple choices to deliver what is demanded. By leveraging backend tools, technologies, and process automation techniques, brands can attain zero downtime and manage customer interactions efficiently. Personalized, contextual engagements are considered as the most important factors for providing superior customer experiences. Brands need to invest in the use of big data, analytics and design thinking techniques such as design discovery, user journey and persona mapping, empathy mapping and usability testing to gather insights to create personal and tailored experiences. Many technologies like Big Data, IoT, Analytics, DevOps, Artificial Intelligence and Machine Learning have proven to bring business benefits for the brands. DevOps can automate delivery pipeline, improve efficiency and get the product in the market faster; content management systems have demonstrated their worth in providing a seamless digital experience and eliminate downtime by constantly monitoring infrastructure. Brands need to engage in multiple efforts to implement modern technologies and use the power of data science to provide an unmatched digital experience to their customers. Though customer experience is inherently subjective, I feel 2017 has been a great year for customer experiences - far and wide, there has been much more awareness about the topic, greater understanding on how customer experience varies from customer service. Its value has been evident in terms of increased satisfaction, repeat business, lower customer acquisition costs and increased sales. While technology plays a pivotal role in bringing about the change, culture is equally important. Culture drives the decision to take customer experiences seriously. Even if you're late to the customer experience game, it's never too late to begin improving your programs. When you set out to make your customers' lives easier and better, you will see your business transform. 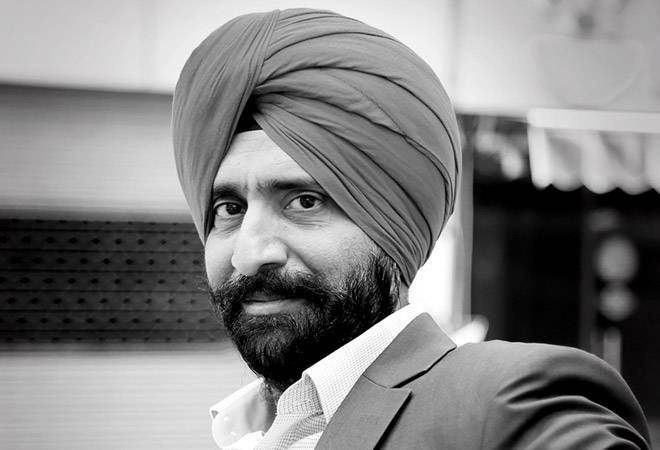 Kulmeet Bawa is the Managing Director of Adobe India & South Asia.